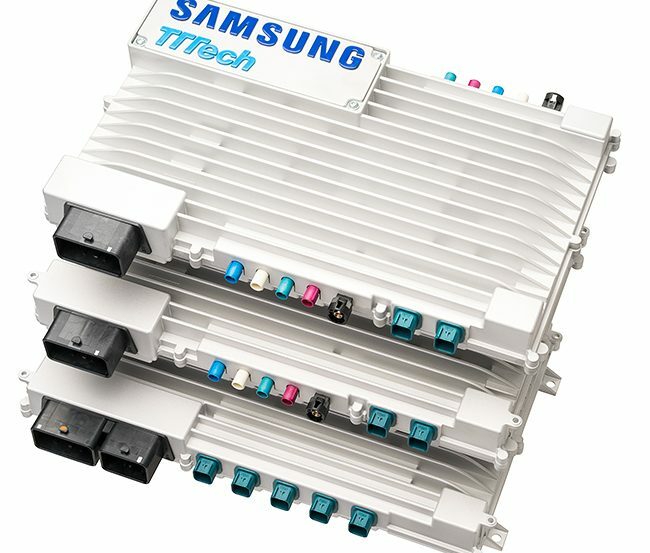 At a transformative moment for the auto industry, TTTech plans to use Samsung’s investment to accelerate the growth of its safety technology for autonomous driving and operations. The company’s collaborative and flexible technology – like its new open safety platform, MotionWise – enables OEMs and Tier-1 suppliers to accelerate the development, integration, and validation of new capabilities in their vehicles. This press release contains certain “forward-looking statements” within the meaning of the Private Securities Litigation Reform Act of 1995, as amended, including but are not limited to, statements regarding the benefits of the strategic partnership between Samsung and TTTech Auto; the development of next-generation solutions for auto safety systems; and the ability of TTTech technology to enable OEMs and other customers to build advance auto safety solutions. These and any other forward-looking statements in this release are based on the parties’ current expectations of future events and are subject to a number of risks and uncertainties that could cause actual results to differ materially and adversely from those set forth in or implied by such forward-looking statements. These risks and uncertainties include, but are not limited to, changes in the markets and the regulatory environment of automobile technology industries, difficulties in integrating technologies of the parties in the partnership, the inability of the new solutions to achieve wide market acceptance, and the ability to compete with other products in the market. The companies are providing the information in this release as of this date and do not undertake any obligation to update any forward-looking statements contained in this release as a result of new information, future events or otherwise. A modular hardware platform, powered by TTTech's MotionWise software framework, will be the first product of the cooperation.